When an ancient stone idol comes to life and starts blasting everything in its path with a morphing ray, it looks like the world is in pretty deep trouble; but it’s nothing compared to the havoc unleashed when Rita Repulsa gets her hands on it! 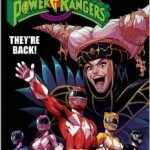 The Mighty Morphin Power Rangers join the fray, but this new baddie has extra muscle from Squatt and the Putty Patrol. If the team doesn’t get a little help of their own from a trusted friend, this latest mission may be their last! Twenty years ago, the Power Rangers burst on the scene in an explosion of colorful combat, bizarre monsters, incredible robot battles, and Megazord-sized fun, spawning a global phenomenon and an ever-expanding storytelling universe. Papercutz is proud to present the long-awaited continuing adventures of the team that started it all! An 8×8 based on the new Power Rangers season–which also happens to be the brand’s 20th anniversary! Every season, a breakout character steals the spotlight, and this season is no exception. 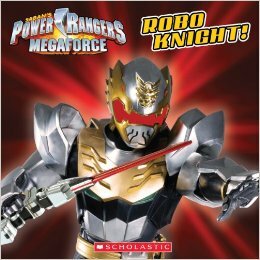 This 8×8 focuses on the mysterious origin of the hero ROBO KNIGHT! 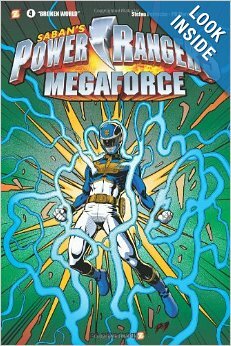 The Power Rangers must battle one of their most powerful foes yet: Fokion, a monstrous soldier under the direct command of Creepox, with the ability to absorb, concentrate, and spread radiation. When a nuclear-powered particle accelerator becomes active, the Rangers must contain the dreaded Fokion before the situation blows up in their faces! Join the ultimate team in these action-packed stories! 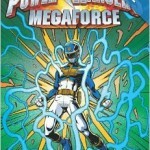 Read the stories of how the Megaforce Rangers became a team and first battled the Evil Warstar aliens. Then follow the adventures of the Power Rangers Samurai as they face the fearsome Nighlok. 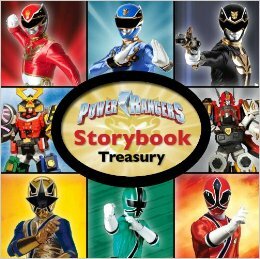 With 6 stories; 2 from the brand new Power Rangers Megaforce series and 4 from Power Rangers Samurai, featuring action from the episodes, this storybook collection is perfect for every Power Rangers fan. 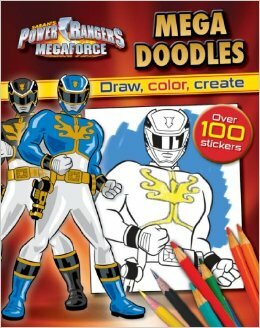 Complete the drawings of your favorite Rangers, create your own Warstar aliends and mutants for the Megaforce to defeat, sketch epic battle scenes and design your own Power Cards. It’s time to save the world, one doodle at a time! Thanks to Red Ranger for the heads up! When an ancient stone idol comes to life and starts blasting everything in its path with a morphing ray, it looks like the world is in pretty deep trouble; but it's nothing compared to the havoc unleashed when Rita Repulsa gets her hands on it! 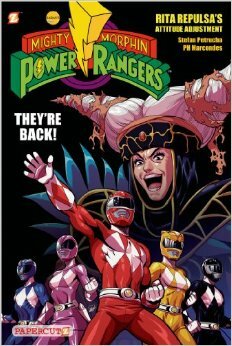 The Mighty Morphin Power Rangers join the fray, but this new baddie has extra muscle from Squatt and the Putty Patrol. If the team doesn't get a little help of their own from a trusted friend, this latest mission may be their last! Power Rangers Megaforce: Robo Knight! An 8x8 based on the new Power Rangers season--which also happens to be the brand's 20th anniversary! Every season, a breakout character steals the spotlight, and this season is no exception. This 8x8 focuses on the mysterious origin of the hero ROBO KNIGHT! 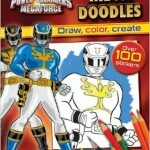 Complete the drawings of your favorite Rangers, create your own Warstar aliends and mutants for the Megaforce to defeat, sketch epic battle scenes and design your own Power Cards. It's time to save the world, one doodle at a time!